Plans have been revealed for Blackburn with Darwen Council to continue to provide funding for bowling clubs in the borough. The good news comes after it was announced the authority needed to make additional savings due to ongoing budget cuts, but now a new way forward has been agreed. The Council has also offered to work with the clubs to look at new ways of funding the sport. 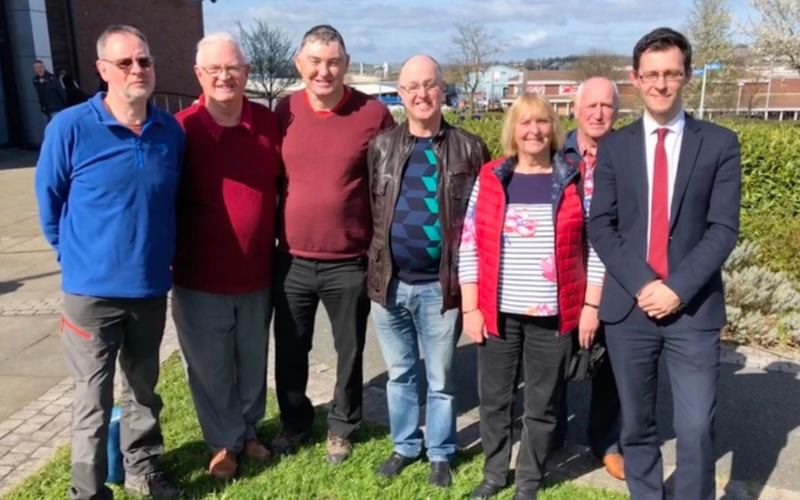 A meeting was held with the bowling clubs today (Monday 25 March) and an agreement has been reached between the borough’s nine clubs and Blackburn with Darwen Council to continue to provide the groups with funding for the next two years after listening to their concerns. Cllr Damian Talbot, Executive Member for Leisure and Culture, attended the meeting on behalf of Cllr Jim Smith, who has responsibility for the environment budget. We were pleased to be able to share such positive news with the clubs today. We arranged a series of consultation meetings with all nine bowling clubs in the borough to look at how further savings can be made as unfortunately the Council needs to save an additional £3m again this year. We listened to the clubs who were well represented at the meetings and we are thankful to everyone who attended and gave us honest feedback that we have been able to act upon as we recognise the valuable role that these clubs play in our communities. With a growing older population ensuring that our residents have enough facilities to help keep them active and getting out to meet people is vitally important. The clubs told us they are working with local schools so that younger people can participate and encourage more young people to play. We very much welcome that to bring people of all ages together and really value the support of all the volunteers and the work they do to keep the greens and the facilities running for the benefit of the whole community. This is excellent news for all the clubs and the future of bowling. It’s really pleasing that the Council have taken the time to meet with us and listen to our concerns and properly take on-board what we had to say to help ensure the future of our bowling clubs. On behalf of the bowling clubs we are extremely pleased with the Council’s decision to continue the funding for the next two years. This will make a massive difference to all the bowling clubs across Blackburn with Darwen. We look forward to working with the Council in the coming months to look at opportunities to provide longer tenures for the bowling clubs to be able to access important grant funding.